A few years ago, I had the pleasure of visiting King Arthur Flour in Vermont for a few days of baking and fun with some fellow bloggers. 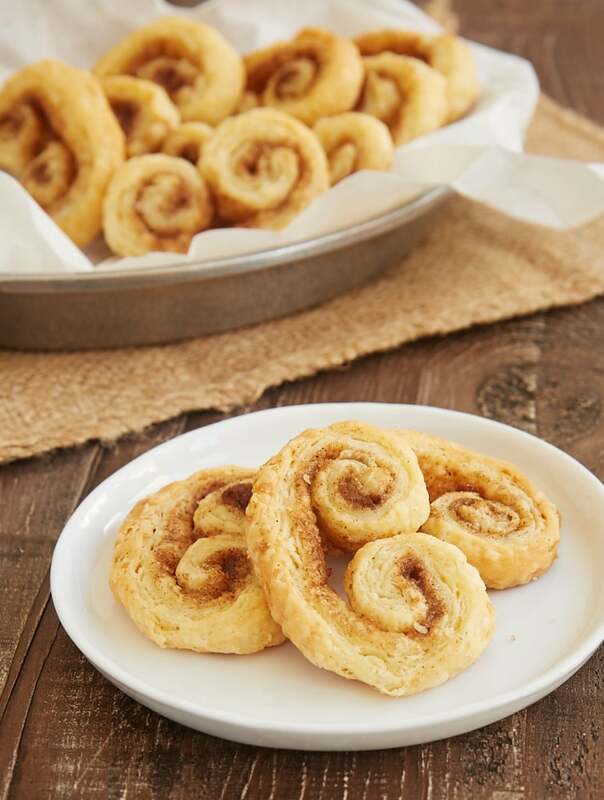 We baked all sorts of things, but one of my favorites was palmiers made with a simplified puff pastry. They were simple in preparation and in flavor, being made with just pastry and sugar, but the taste was fantastic. For any of you not familiar with the term, palmier (pronounced PALM-yay) is French for palm tree. The name is a reference to their appearance. They are also sometimes called elephant ears. While they are a pastry, I also think of them as a cookie. No matter what you call them, they are absolutely delicious. 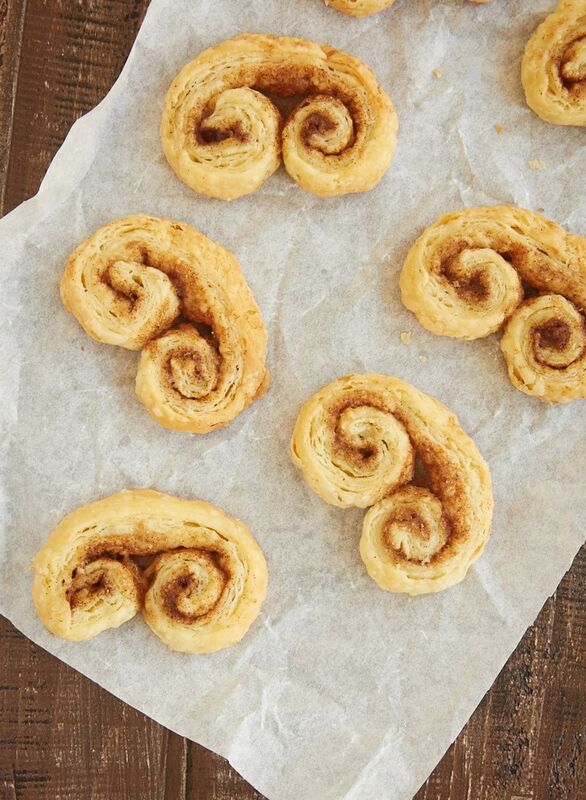 I’ve made those palmiers several times since then, but I’ve never shared a recipe with you. It’s taken me far too long to do that, but I’m remedying that with these Chai Spice Palmiers that feature a wonderful blend of spices. Before you decide that you don’t want to make your own puff pastry, hear me out. King Arthur Flour calls it Blitz Puff Pastry, and it’s a very appropriate name. It’s so quick to make that you go from ingredients to chilling the dough in about 30 minutes. Don’t let the number of steps make you hesitant to make these. I can assure you that it comes together very quickly and easily. And the best part is that it’s fantastic. 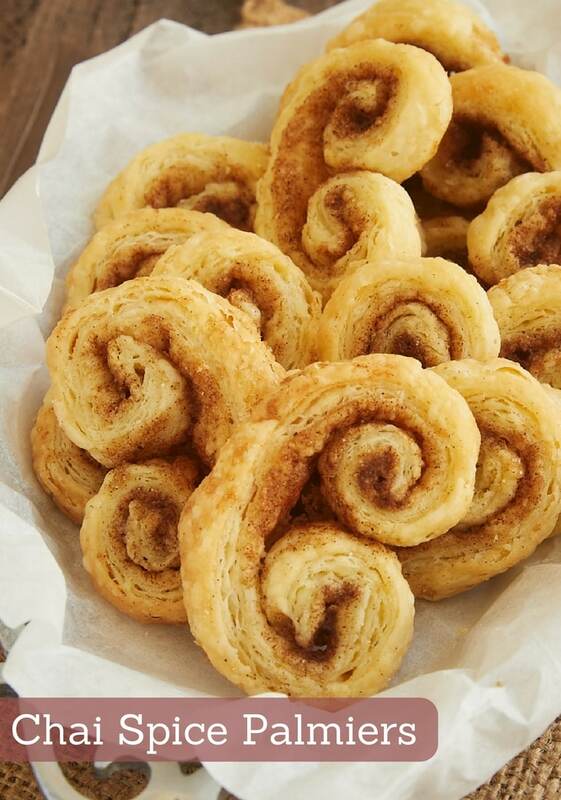 It’s perfectly light and flaky. And SO much easier to make than traditional puff pastry. In fact, I adore their puff pastry recipe so much that I keep the printed version they gave me under a magnet on my refrigerator so that I can quickly reference it whenever I need it. I opted to share the recipe scaled to make a double batch of palmiers. If you prefer, you can make half the recipe. Just skip the step for dividing the dough in half when you get ready for the final rolling. 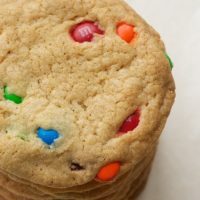 Honestly, I make the larger amount because they are such popular cookies that the small batch doesn’t last very long at all. You can easily change the spice blend for the filling to reflect your taste preferences. I used a simplified Chai spice blend, but feel free to use your favorite blend. Or keep things simple with just a sprinkle of cinnamon. I feel fairly certain that if I only ever made Quinn one kind of cookie, this would be his choice. They’d be pretty high on my list, too. 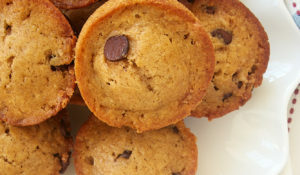 And with this simple way to make them, it’s easy to have them whenever the craving strikes! 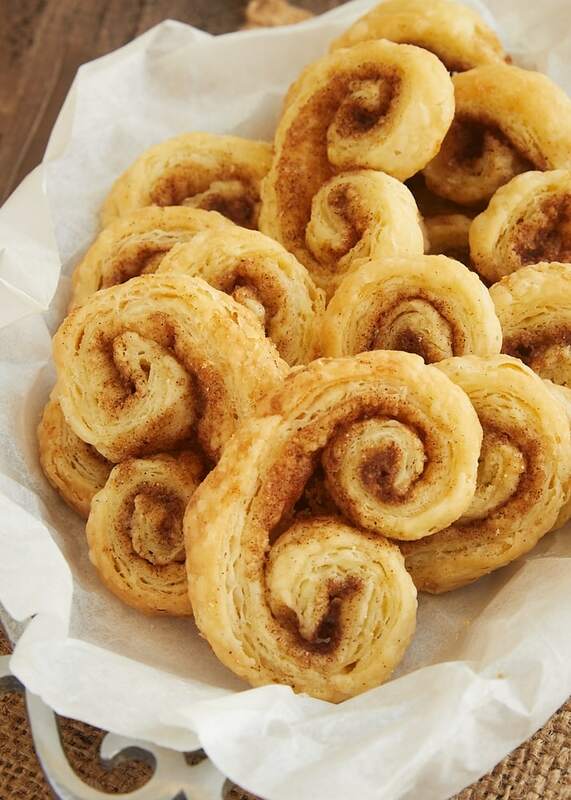 Chai Spice Palmiers are made with a simplified puff pastry and a delicious blend of spices. 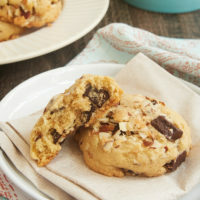 They’re part pastry, part cookie, and completely fantastic! Add the butter, and use a pastry blender or a fork to cut it into the flour mixture. If there are larger pieces of butter in the mixture after mixing, that’s fine. Add the sour cream, and mix until combined. The dough will not be cohesive. Transfer the dough to a floured surface. Knead the dough a few times until it comes together. Sprinkle a bit of flour over the dough if it’s too sticky. Pat the dough into a square. Roll the dough into a rectangle 8″x 10″. Use more flour as needed to keep the dough from sticking. Remove any excess flour from the surface of the dough. 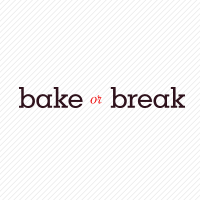 Starting from a short end, fold the dough over itself in thirds like folding a letter. Turn the dough over and turn it 90 degrees. Repeat the rolling and folding process. Combine the sugar, cinnamon, cardamom, ginger, and nutmeg. Set aside. Place one of the dough halves on a floured surface. 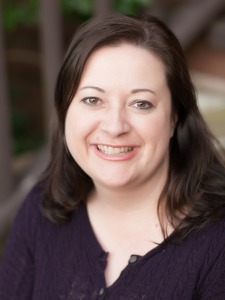 Roll into an 8″x 12″ rectangle about 1/8″ thick. Trim the edges if needed to make the dough rectangular. Sprinkle half of the sugar mixture over the dough. Gently lift one long edge of the pastry, and fold it over itself in 1-inch sections until you reach the center of the dough. Repeat from the other side until the folded sections meet. Cut the dough into slices about 3/4″ thick. Place the slices, cut side down, about 2 inches apart on the prepared pans. Press down gently to flatten slightly. Bake 12 to 15 minutes, or until puffed and golden brown. 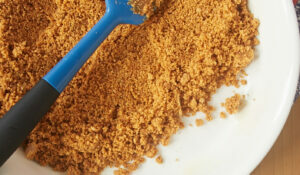 *Turbinado sugar is a coarse brown sugar. There are several brands available. 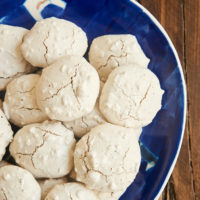 I prefer the flavor and texture of turbinado for these cookies, but you can substitute another coarse sugar like sanding sugar. Granulated sugar would substitute, as well. Blitz Puff Pastry recipe slightly adapted from King Arthur Flour. How long will these stay fresh if I wanted to make for neighbor cookie trays? 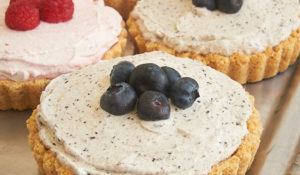 I’ve only made these with frozen puff pastry so I’m very excited to try this recipe! Hi, Bryn. These are best when the day they’re made, but they’ll keep for 4 or 5 days in an airtight container. Enjoy! I have made this dough for years. I think I first found it in an old Betty Crocker Cookbook. I mad Napoleons with it and everyone was surprised at how tender and flaky the pastry is. I will have to try these. 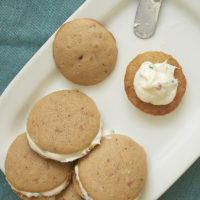 I love the spice of Chai and I think these will be a great addition to my cookie plate this next week. Isn’t the dough amazing? It’s so easy to make and to work with. 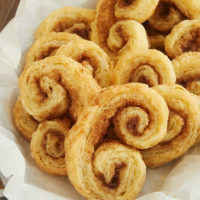 I hope you like the palmiers! I LOVE palmiers and how easy it is to put your own spin on them. 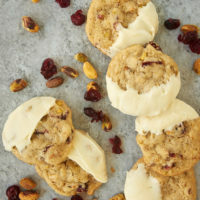 These sound like the perfect treats to bring to a cookie exchange — thank you for sharing!